Humans use language as a means of communication both verbal and written. Language has a vital role in the lives of humans. It is used to support the activities of a civilised society in every aspect of life. With this in mind, the teaching and learning of language is crucial for student of Madania. The teaching of language in Madania is based on the integration of revised 2013 National Curricullum and Cambridge Curricullum. The application of the two curricullums can be seen in the activities of the language departement in Madania. Madania offers various language learning facilities. 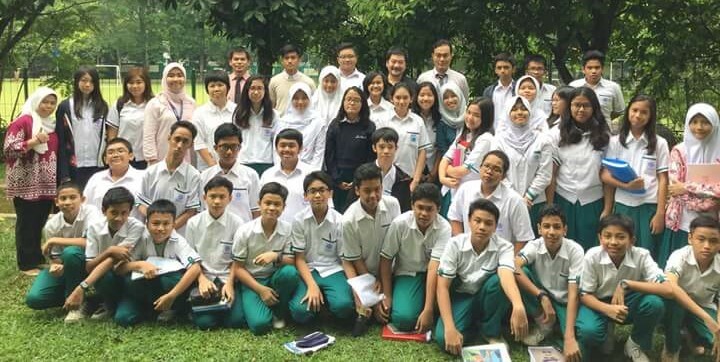 Together with Bahasa Indonesia as the mother tongue, students are facilitated to learn English as a second language. 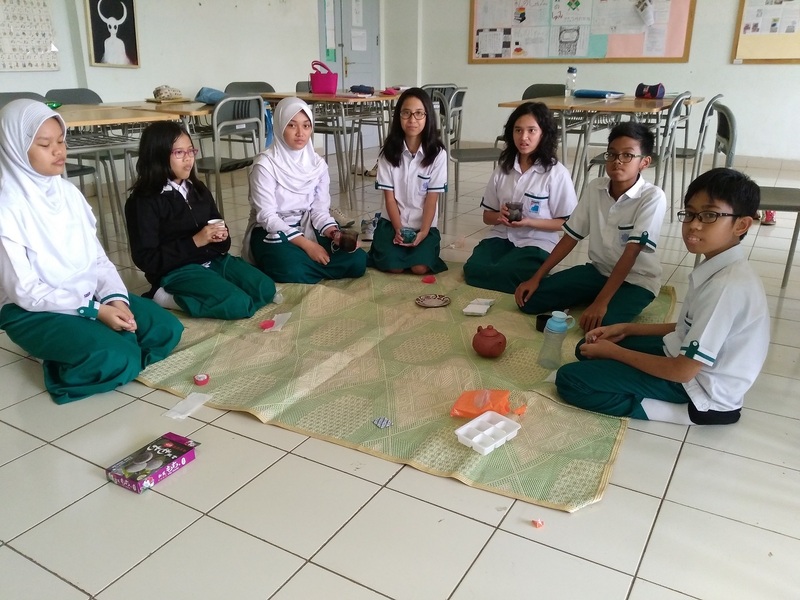 To further prepare students to compete in the millenial era, Madania School offers foreign language education to students starting from Junior High School. There are 4 foreign languages being offered, namely, Japanese, Mandarin, Arabic, and German. All students are required to choose one of the four foreign languages. Students are expected to follow that foreign language up to the high school level to ensure an optimal level of competency. The teaching of languages in Madania is conducted by adhering to the 4 aspects of language; reading, writing, listening, and speaking. There are a multitude of different classroom activities to apply and develop those language skills. 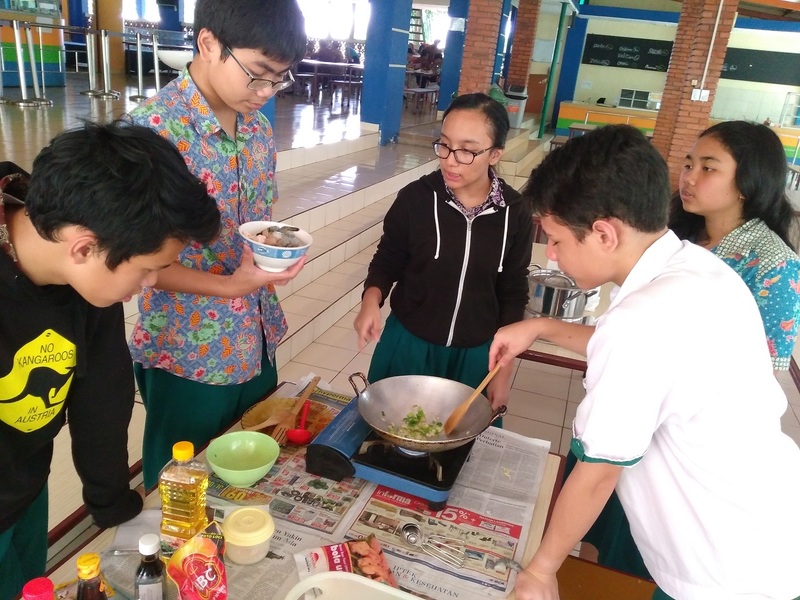 Students can explore and work on their fluency in the language of their choice through the activity of roleplay, interviews, fieldtrips, library research, discussion, projects, cultural programs and cookery activities to increase and improve their language vocabulary. 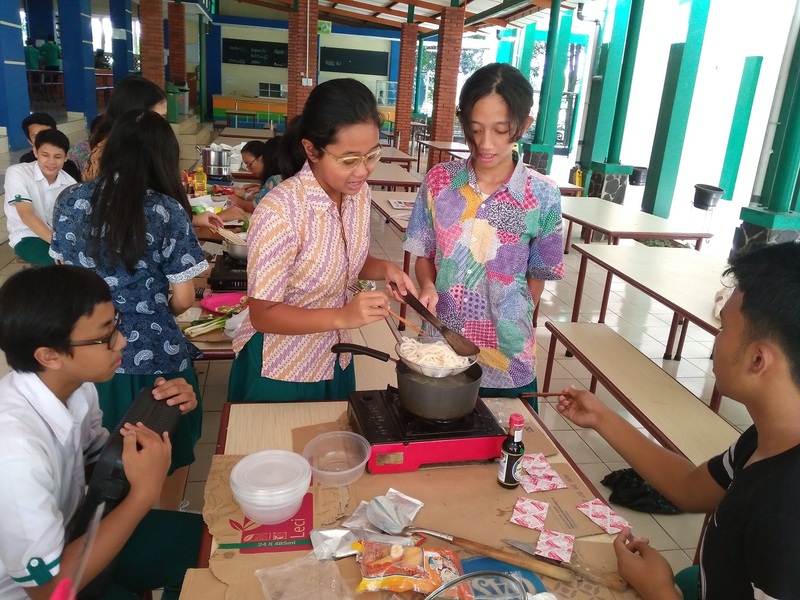 All of the above activities are held during regular school hours from 07.40-15.00 or other times as scheduled by the teachers during field trips. 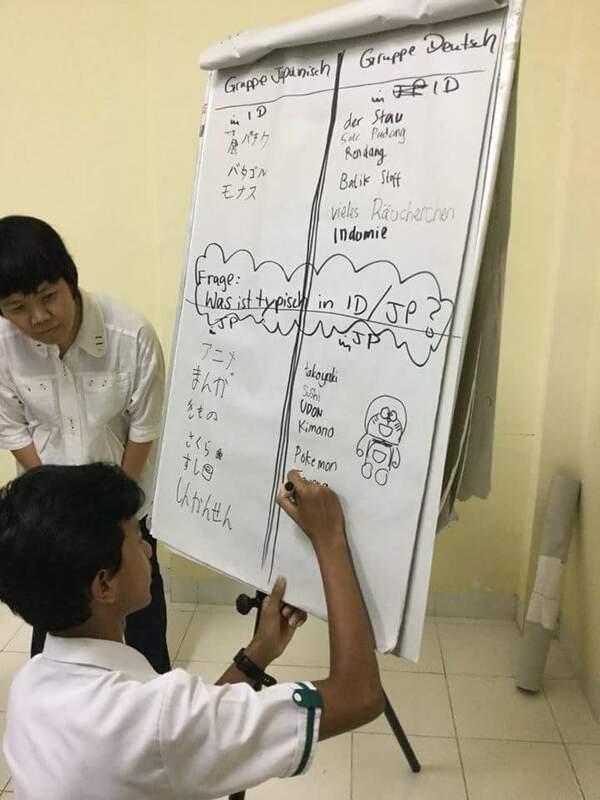 To explore and enrich students’ learning experience of Bahasa Indonesia, English and the 4 other foreign languages, Madania also facilitates students to enroll in language-based competitions such as spelling bee, speech contest, story telling, Kanji writting, Japanese speech contest, Mandarin speech contest, German language quiz and German short story competition. Specifically for the German Language studies, Madania school has a partnership with the Goethe Institute and has been recognised as a Partner School (Partnerschule). This partnership comes wtih many advantages such as teacher training facilities, teacher exchange, teacher short course in Germany, and for the selected students that passes the German competency test are given a chance to follow a full-funded 2-3 months language course in Germany. 2018 is marked as the 12th times Madania School has sent its students to Germany. In the near future, Madania is working on nurturing relationships with Japanase, Mandarin, Arabic or English language institutions to offer a more various language learning environment. 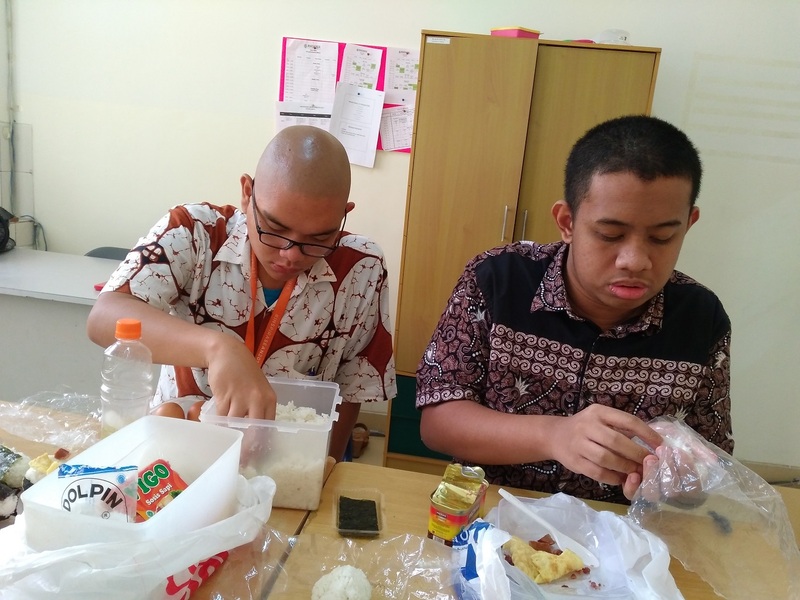 Madania also works to develop the teaching of Bahasa Indonesia to ensure that Madania students continue to appreciate and apply good practices of Bahasa Indonesia in their lives.